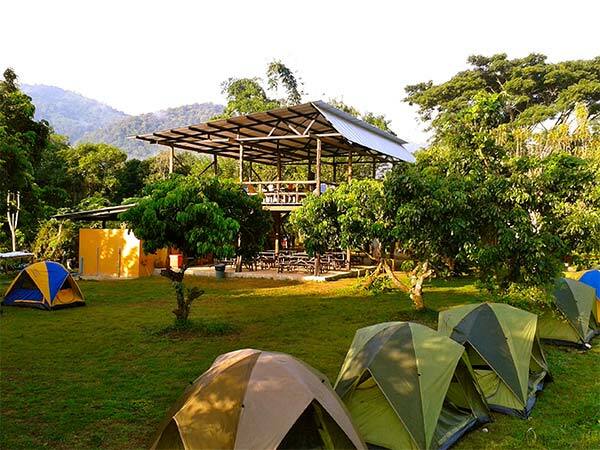 Our Muang Khut camp is used as the final base on our expeditions and decent trips from the Muang Khong Valley, it is also a base for trips in the Mae Teng valley, either multi day or single day as part of a residential program based in nearby resorts. It is situated at the foot of the whitewater section of the river so is also ideally located for Rescue 3, IRF and EOTC training programs. 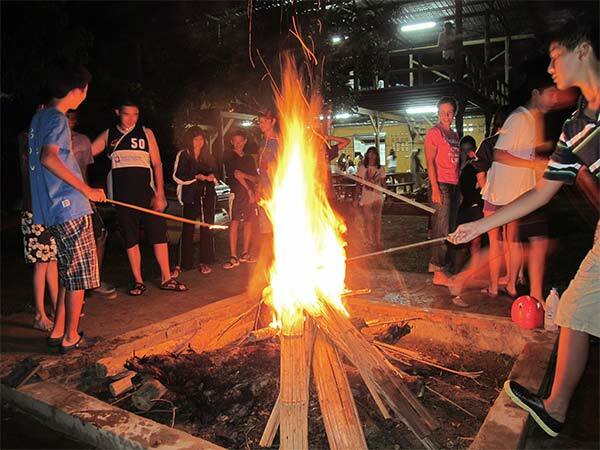 The lodge has a main 2 level Thai style sala with full kitchen kitchen and first aid facilities with O2 and SW radio. The lodge has male and female shower and toilet blocks. Accommodation here is in 3 person expedition tents. Full range cell coverage is available with all providers. Numerous outreach programs and community service options are located within a few KM of the Lodge.